Little Helpers in Life: LUGZ Review and Giveaway Hosted By Sassy Mom, 2 Spoiled Bratz! 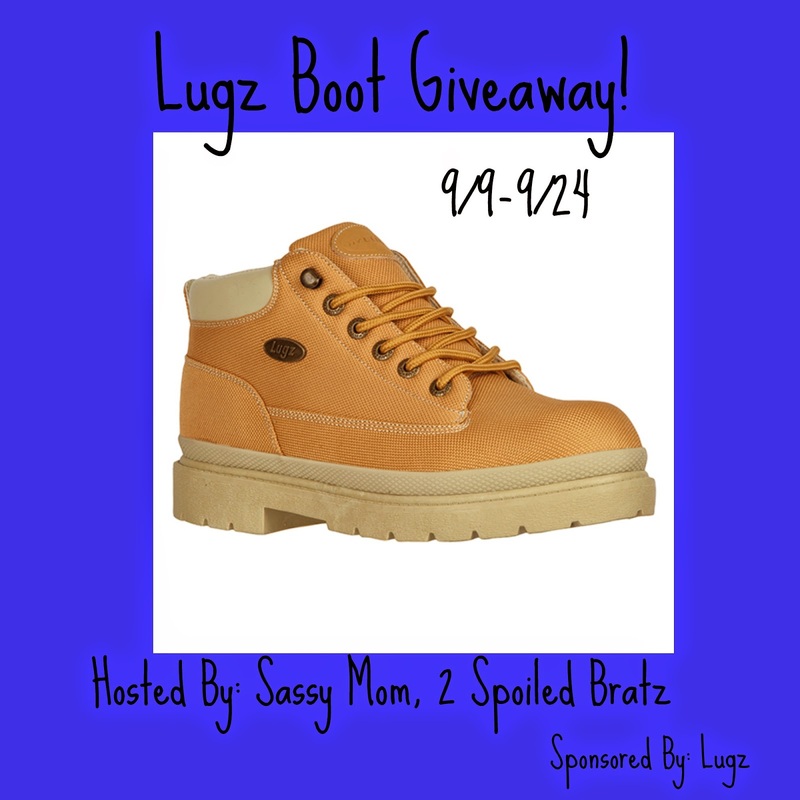 LUGZ Review and Giveaway Hosted By Sassy Mom, 2 Spoiled Bratz! Sassy Mom, 2 Spoiled Bratz and Lugz teamed up to bring you a giveaway for the following one paid of Drifter Ballistic Boots! How cool is that! Who doesn't want to win some great boots from Lugz? Please enter below for your chance to win!